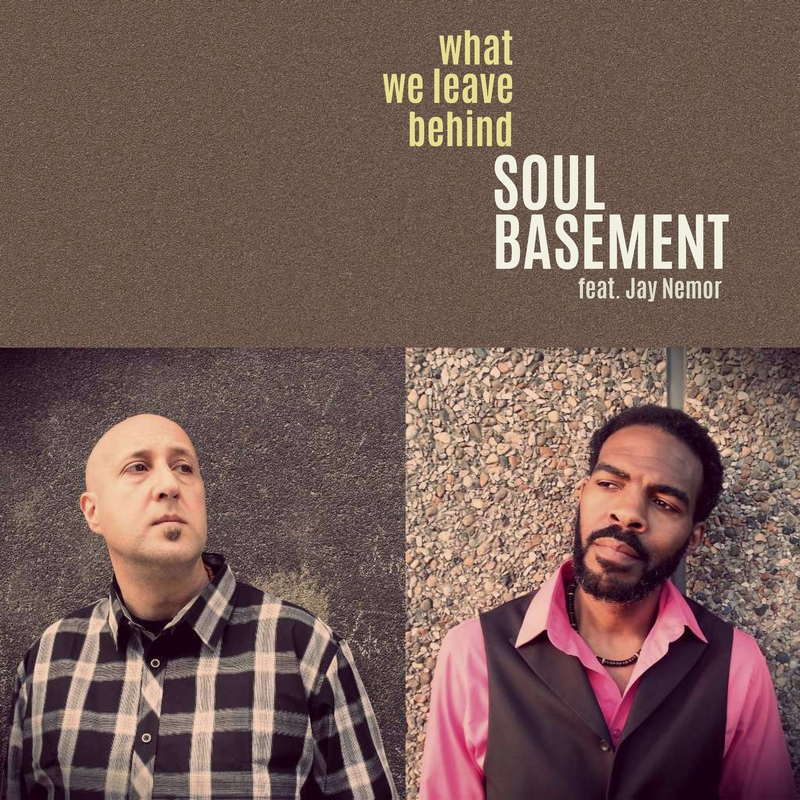 Soul Basement featuring Jay Nemor | What We Leave Behind - TheUrbanMusicScene.com | Music Reviews! A producer/musician/songwriter who fully appreciates unique vocal partners in crime, all of Fabio Puglisi’s catalog under Soul Basement since its debut release in 1998, focuses on the lead vocalist as the showcase while keeping his diverse imprint, in which the Italian native stretches beyond the soulful vibe such as pop, lounge and blues. For What We Leave Behind, Puglisi’s leans on jazz visionaries such as John Coltrane and Thelonious Monk and the vocalist/spoken word revolutionary, Gil Scott-Heron. This time, Puglisi’s featured artist is Jay Nemor, whose elastic bass/baritone voice adapts to suit all the music’s focal points and moods. Built up as a live performance in the studio, Puglisi and Nemor weave an excellently, flawless blended package of hope, love, social consciousness and giving kudos to those who raised their children. The bossa nova fueled “Love Will Find You” offers compassion on failed love and how to bounce back afterwards: “It’s not just you/It takes two for love to be true/So whatever love does turn out to be true/ Does not necessarily a reflection on you.”“Angel of Mine” finds Nemor sweetly illustrating a classy romantic connection in this calm jazz frosted piece, highlighted by an improvisational piano solo a la Monk. In a more acoustic slanted modern jazz setting with keyboards, bass and muted trumpet capped by subdued percussion, “With You” lights up the imagination of the ultimate love attraction. In an account of Nemor’s childhood that comes full circle, the minimalist “Future Reminiscence” captures the firm guidance by his parents: ”Own up to your actions/And don’t make a waste of your time/God, family and school/Is all that should be on your mind.” The other two performances from Puglisi and Nemor on What We Leave Behind, “I’m Doing Fine and “The Joy Inside,” are also not to be discounted, as this latest installment of Soul Basement’s catalog is the most intriguing, capped by thoughtful vocal execution and musicianship. Four and three quarter stars..
One Response to "Soul Basement featuring Jay Nemor | What We Leave Behind"
Inspiring album, breathtaking, simply TIMELESS.